Employees of the Nebraska Child Support Payment Center with Treasurer Stenberg in the lobby outside the center’s office. Holding the Excellence Award is Amanda Boucher, a customer service team member, front right. Treasurer Stenberg with Troy Reiners, director, and Marcia Scheinost, assistant director, Nebraska Child Support Payment Center. Troy is holding the Excellence Award. 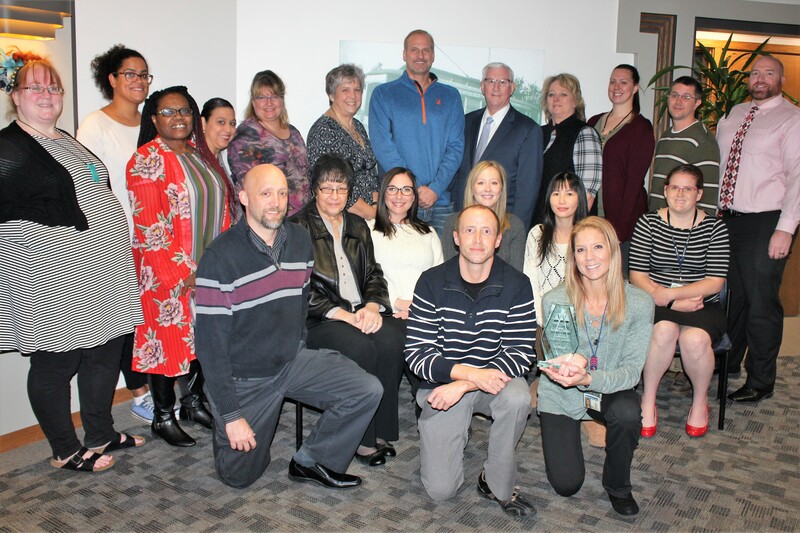 Employees in the Nebraska Child Support Payment Center and their director, Troy Reiners, received the Nebraska Standing Ovation Award in October from the Western Intergovernmental Child Support Engagement Council. The award is given annually at the WICSEC meeting to an entity or person from the host state in recognition of the honoree's significant contributions to the child support enforcement program. This year's conference was in Omaha. 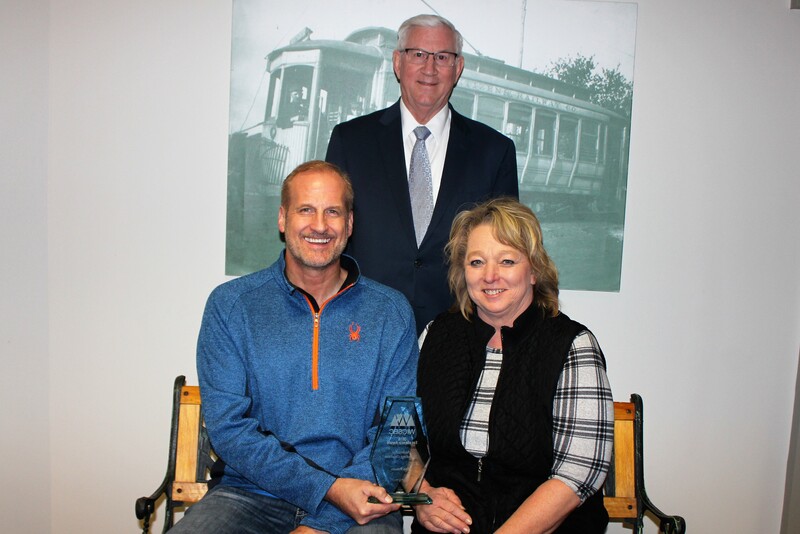 The award was given to Troy Reiners, director of the Nebraska Child Support Payment Center, a division of the Nebraska State Treasurer's Office. He said he accepted it on behalf of the center's staff members who receive and distribute child support payments to more than 50,000 families monthly. “Excellence doesn’t happen without the efforts of the whole office,” Troy said referring to support for the center from the other divisions of the Treasurer’s Office. WICSEC is a non-profit organization of public and private child support agencies and professionals from states, tribes, and territories west of the Mississippi River. It strives to unite child support professionals and inspire excellence.